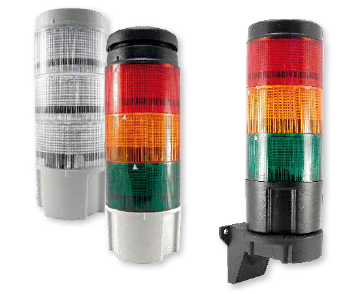 Texelco Assembled Stack Lights | Springer Controls Co.
Springer Controls series of pre-assembled stack lights and horns come in a wide variety at affordable prices. All operate on 24V DC power with a screw cable clamp for easy wiring, or pre-wired. 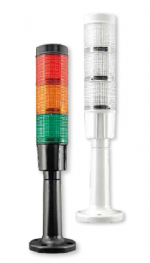 An array of mounting options are also available to finish out your signaling options. The S470 Series of preassembled stack lights and horns have a large 70mm (2.75") diameter with ultra-bright LED for high visibility. The S370 Multicolor Series of preassembled stack lights and horns have the unique ability to display multiple colors from a single lamp. Quadcolor and tricolor lamps are available in common colors with or without horns. The S450 Series of preassembled stack lights and horns have a 45mm (1.75") diameter with ultra-bright LED for high visibility. 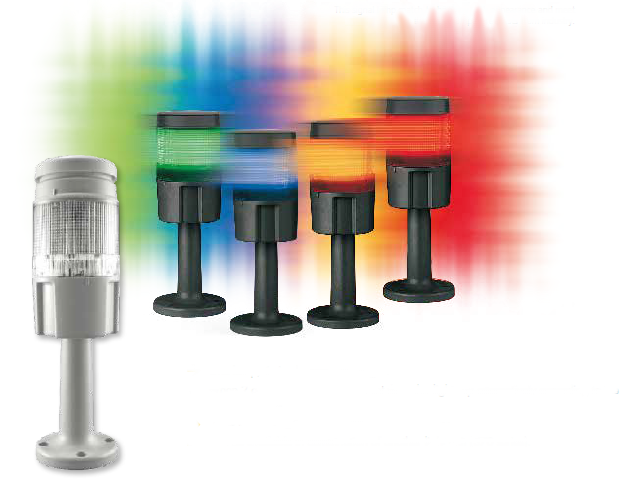 The S300 Multicolor Series of preassembled stack lights have the unique ability to display multiple colors from a single lamp. Tricolor lamps are available in common colors and can mounted in a standard 22mm panel mount hole, or with a pole/mounting base. The S187 Compact Audible sounder is a 60mm (2.4") diameter unit that packs a lot of features into a small size. 2 different sound tones are available with a remote control for disabling the sound.